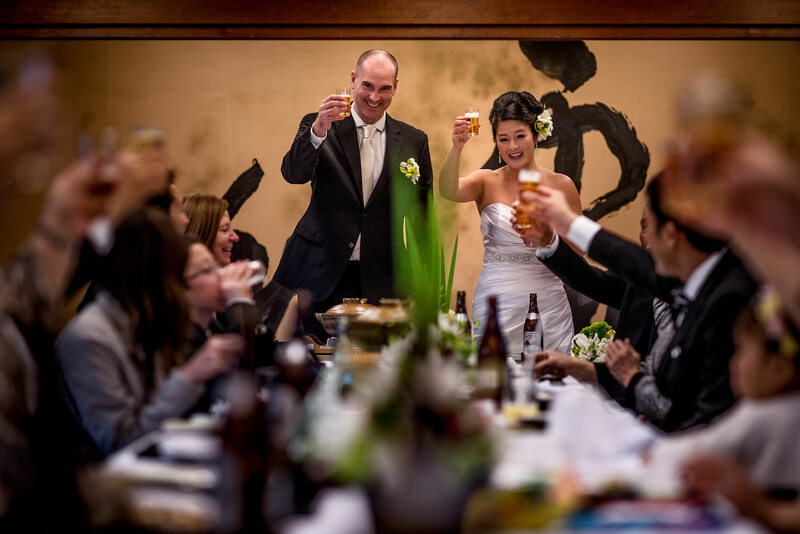 Japan has been on our destination wedding bucket list for a long time so when Mika and Mike ask me to be their Kyoto Japan Destination Wedding Photographer, I literally jumped out of my seat and let out a double fist pump. 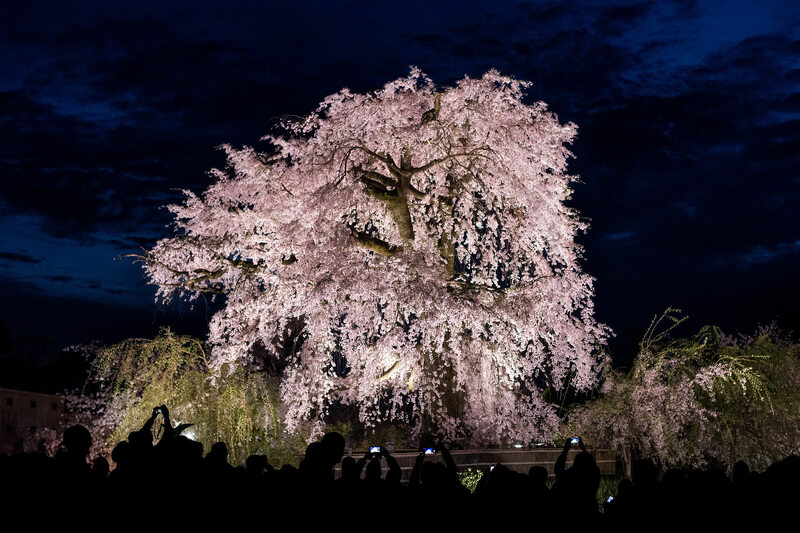 Mika and Mike scheduled their wedding around the stunning Cherry Blossom bloom which happens early April for only a little over a week every year. 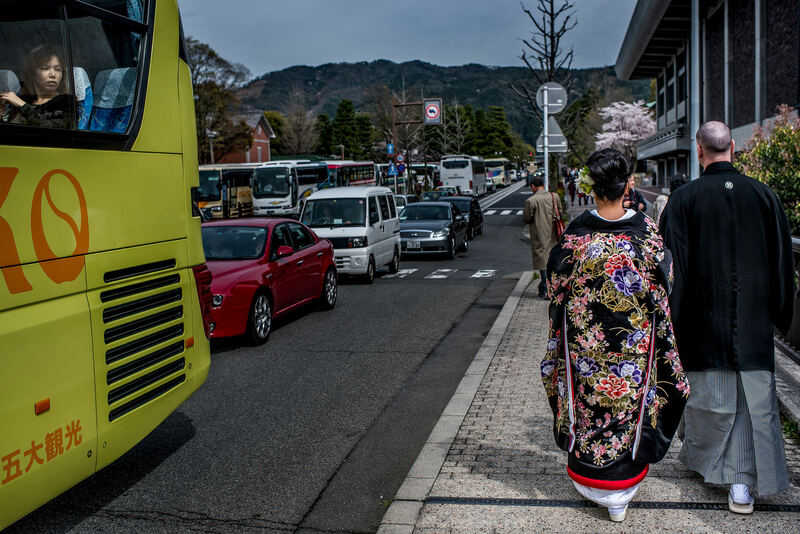 When I arrived in Japan, I was amazed by the beautiful scenery, friendly locals and the efficient transit system. 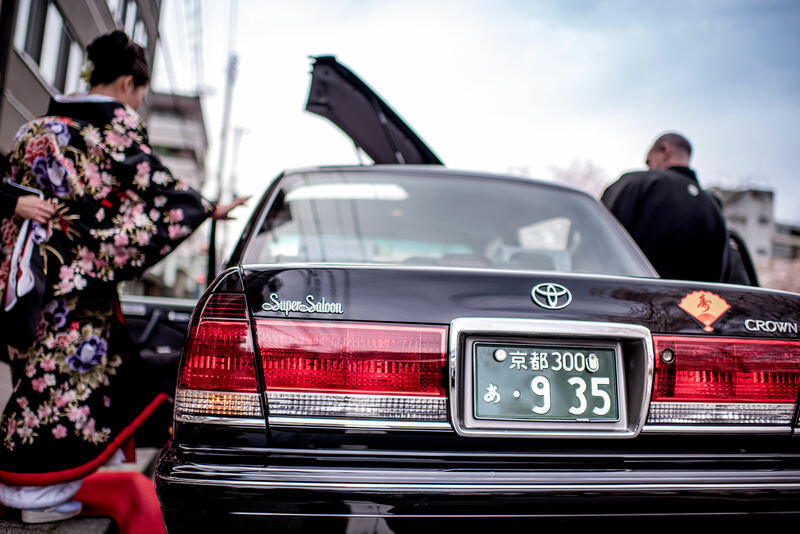 Most of the street signs and maps are in Japanese so Google Maps became a great travel companion. 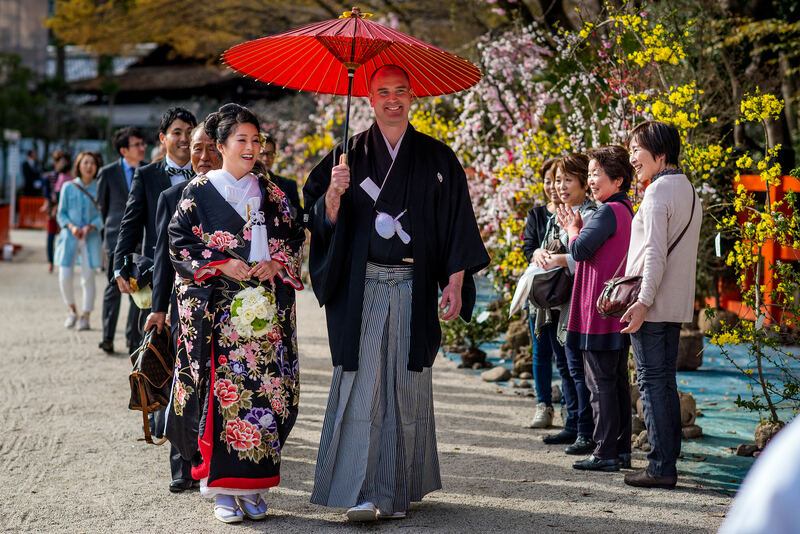 The sun was shining and the weather was warm on the day of Mika and Mike’s Kyoto Japan Shinto Destination wedding. 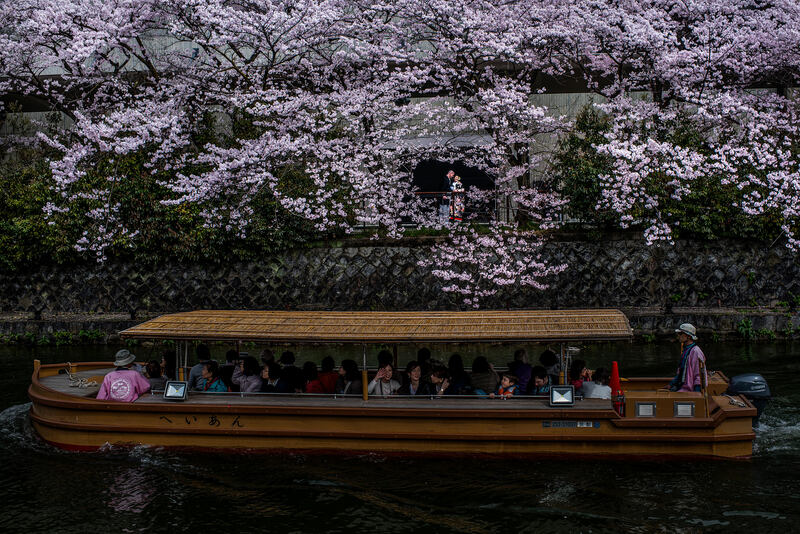 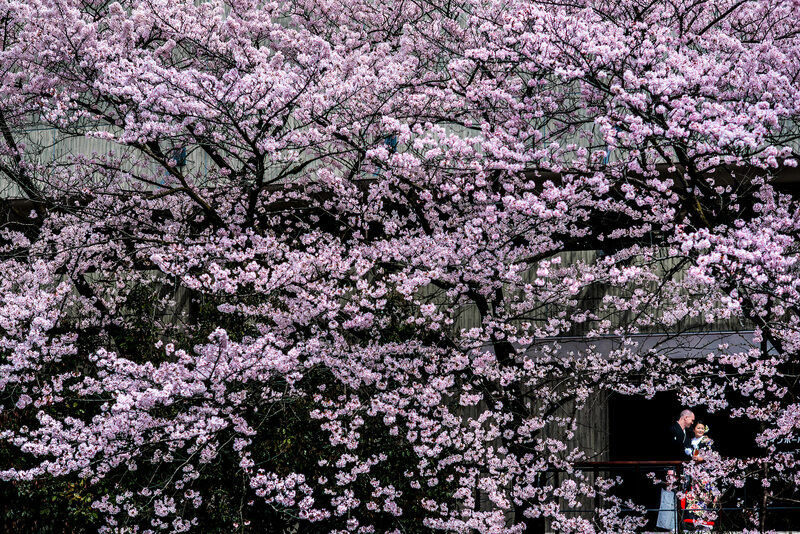 I travelled up from south Kyoto to meet Mika and Mike at their incredible sixth floor apartment that overlooked a famous Kyoto canal littered with cherry blossom trees on either side. 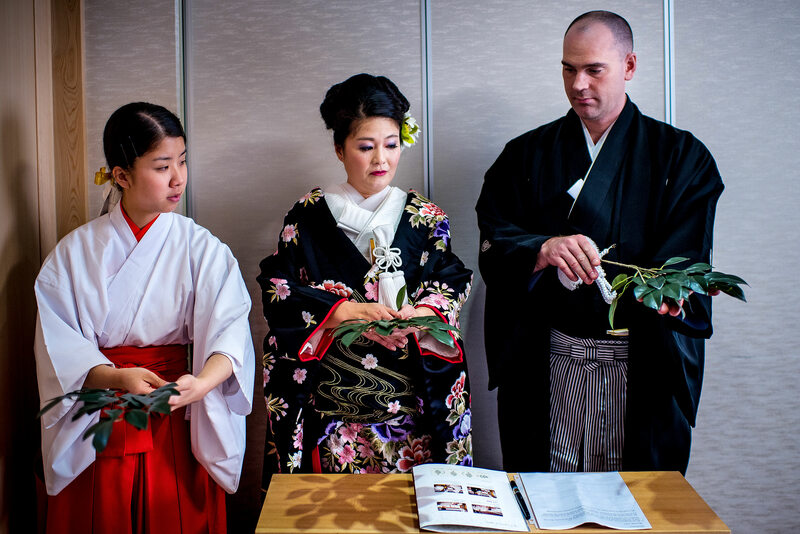 Both Mike and Mika decided to wear a traditional Japanese Kimono for their Shinto wedding ceremony. 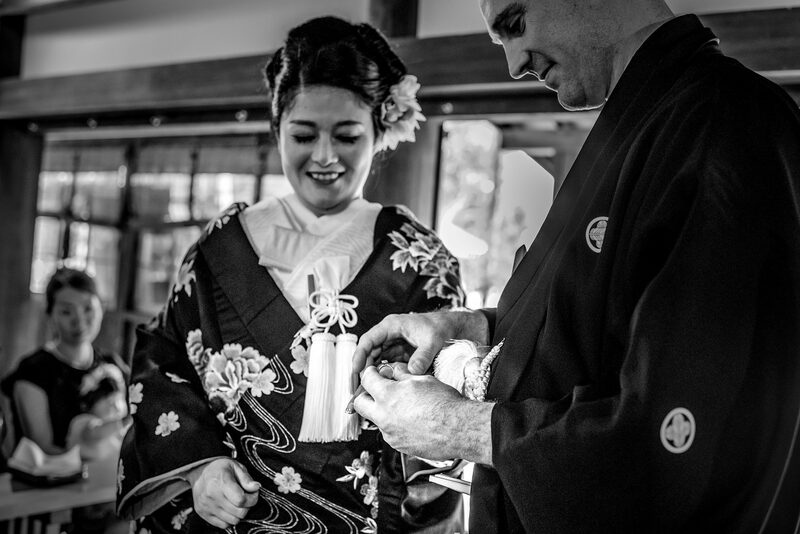 Each Kimono was beautifully hand crafted with embroidered detail and required an assistant to help with getting in and out of each traditional garment. 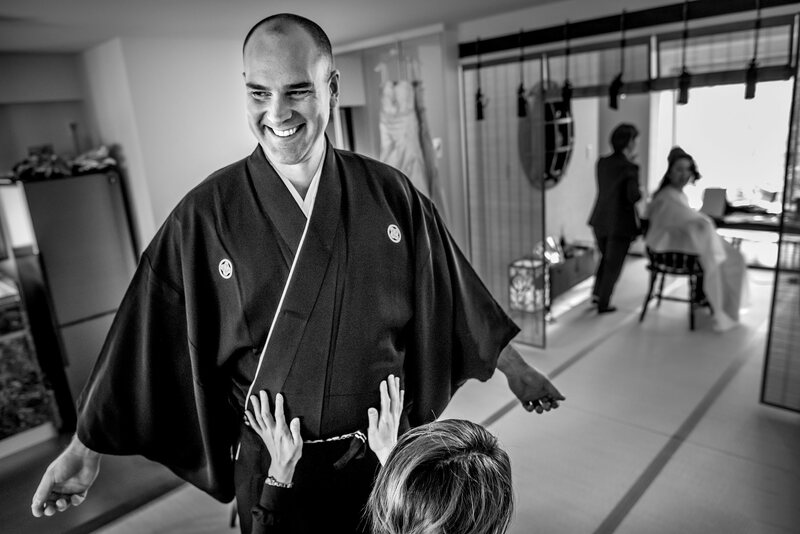 Mika’s Kimono had eleven layers which required meticulous maneuvering by the assistant. 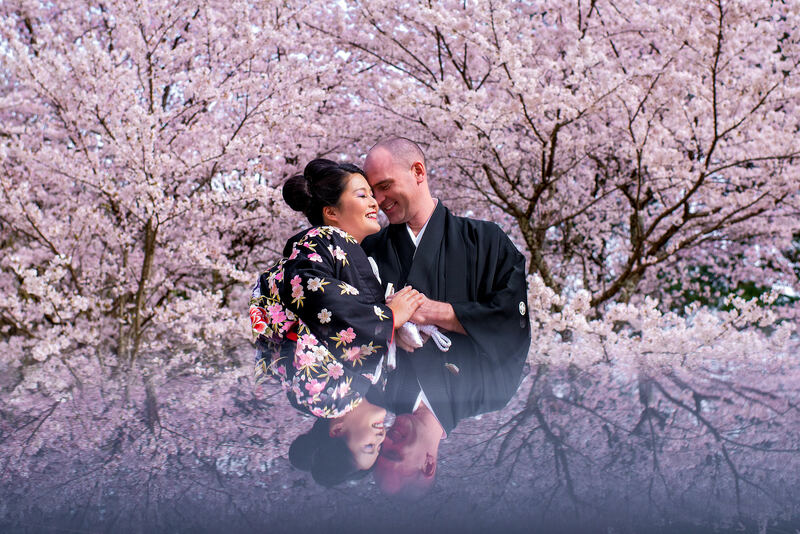 Once the bride and groom to be were fully dressed, we headed down to the canal for some cherry blossom filled portraits. 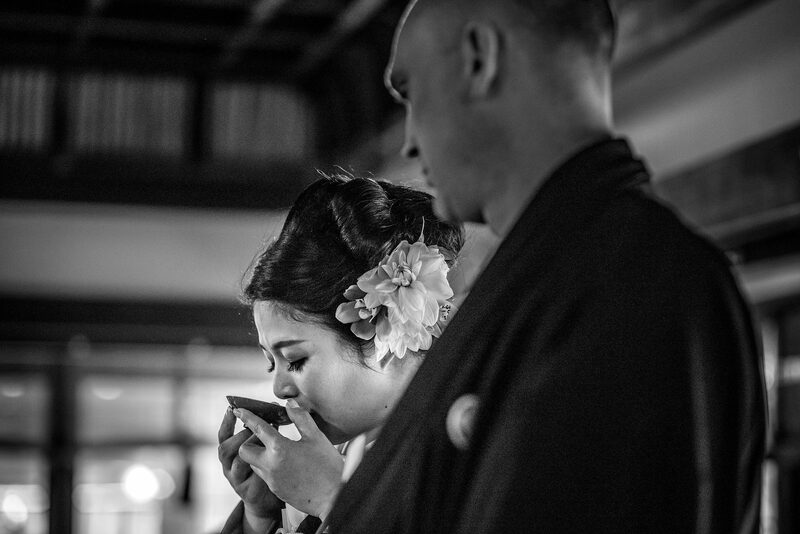 Afterwards a limo service took us to the Kamigamo Shrine for the ceremony. 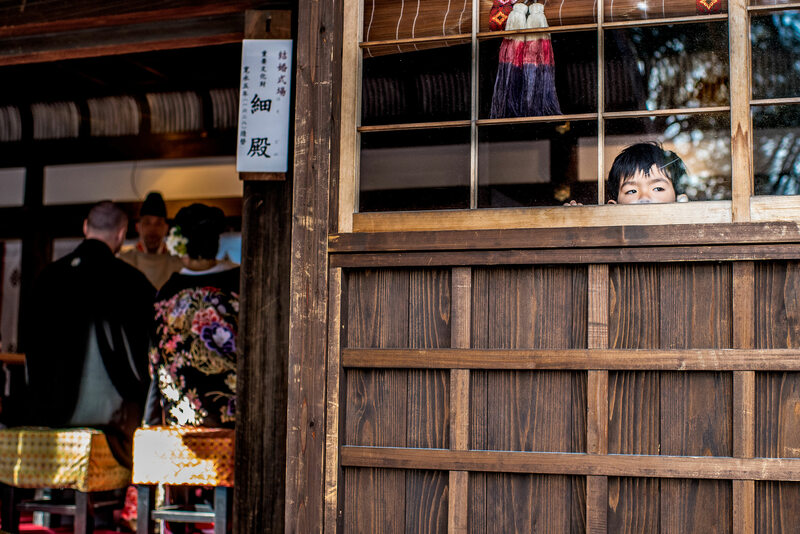 The Kamigamo Shrine is one Japan’s oldest Shinto shrines dating back to 678. 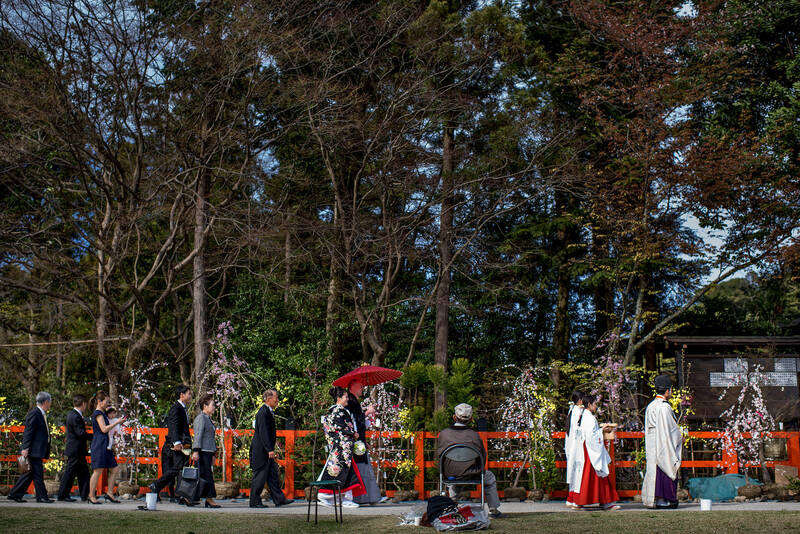 Rich with history, the shrine was designated by UNESCO as a World Heritage Site. 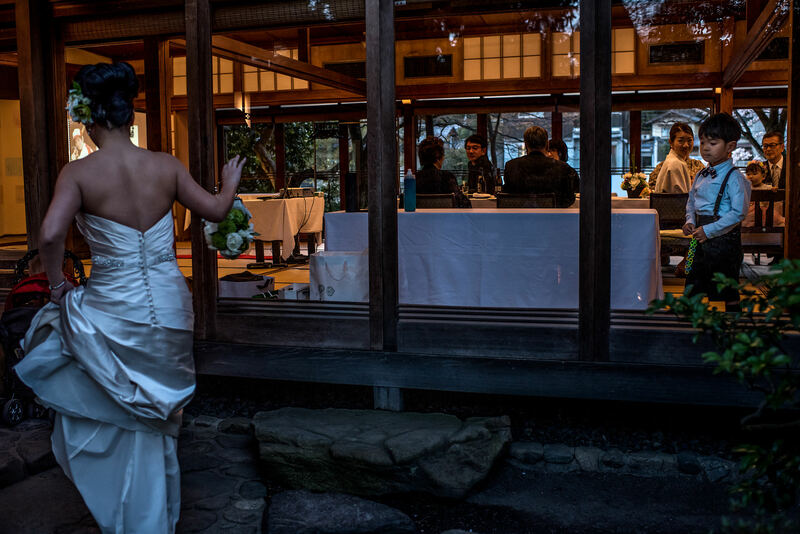 What an incredible location to get married! 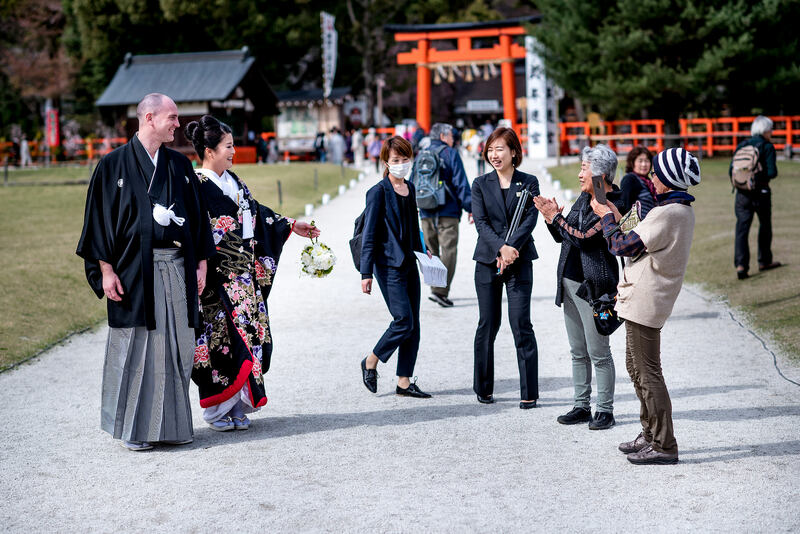 Once we arrived at the Shrine, we were greeted by several members of Mika’s family then Mika and Mike were given instruction, in native Japanese language, on how the ceremony would unfold. 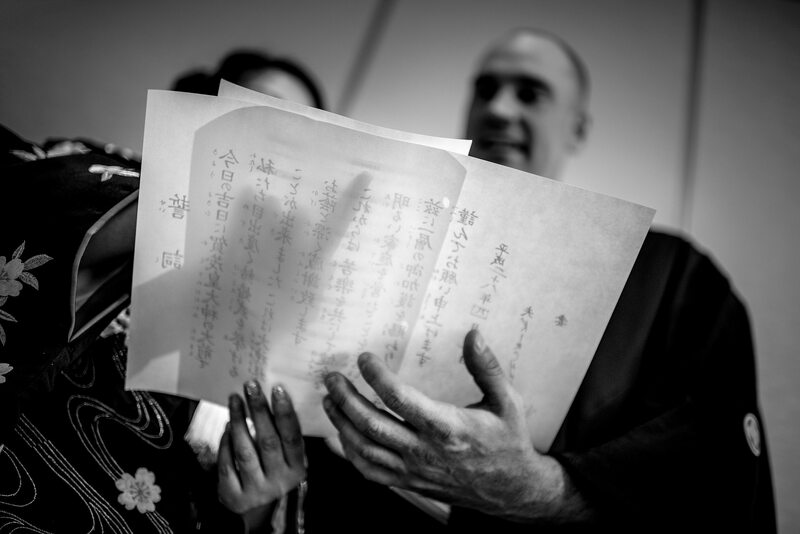 It was amazing to listen to Mika translate the instructions into English for Mike. 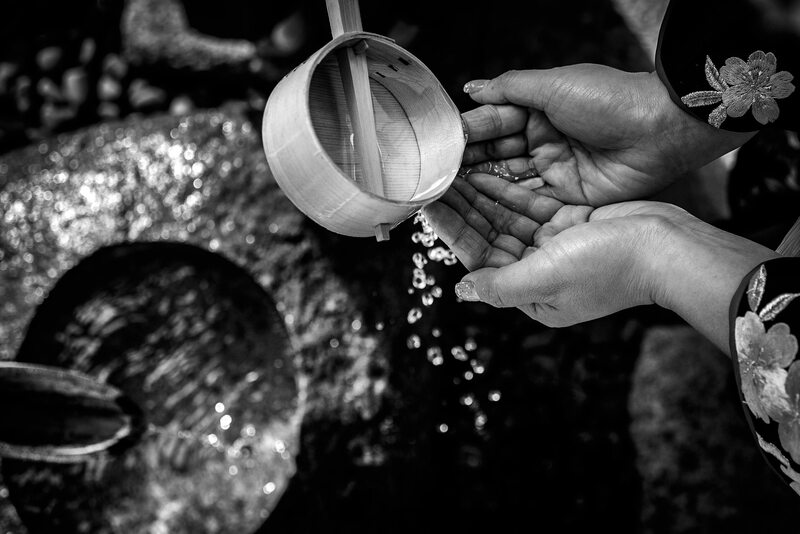 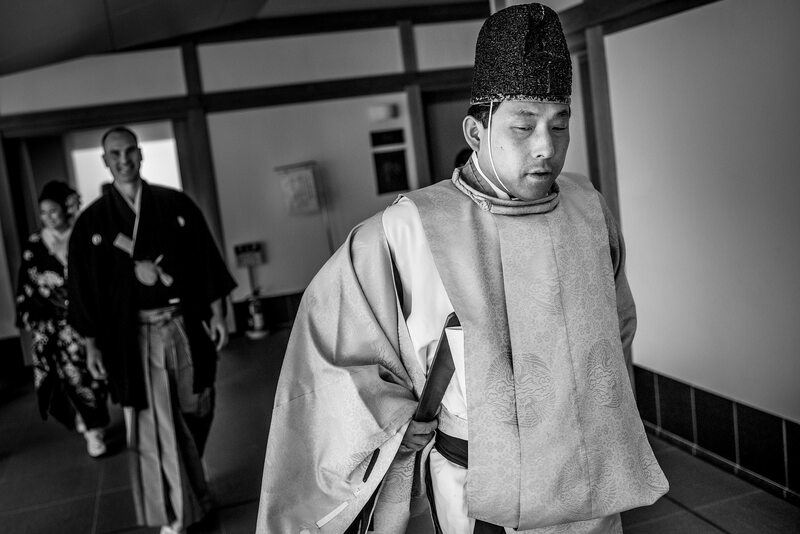 Shinto ceremonies have many rituals which often prohibit photography however there was some time allotted for a few photos. 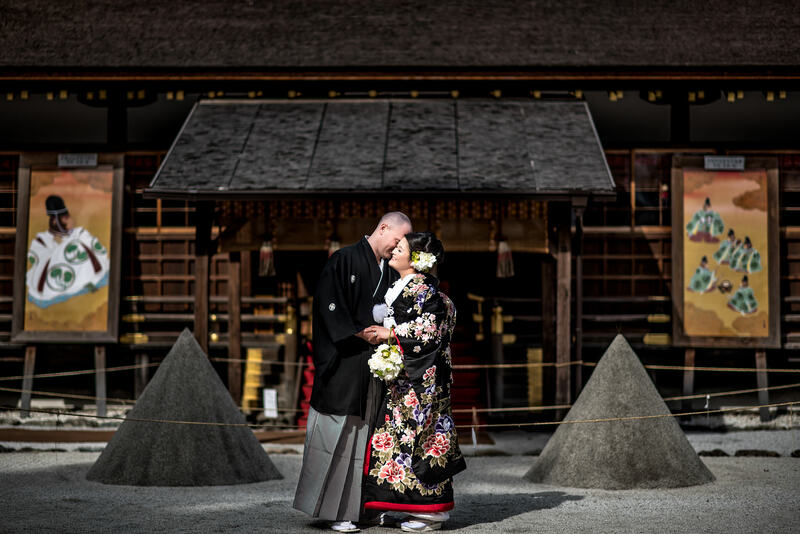 After the ceremony, the newlyweds and guests gathered in the grand courtyard for some portraits. 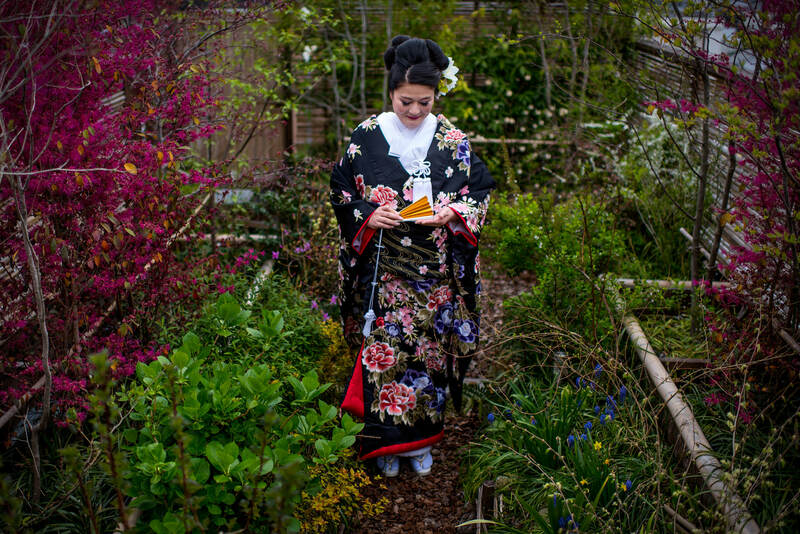 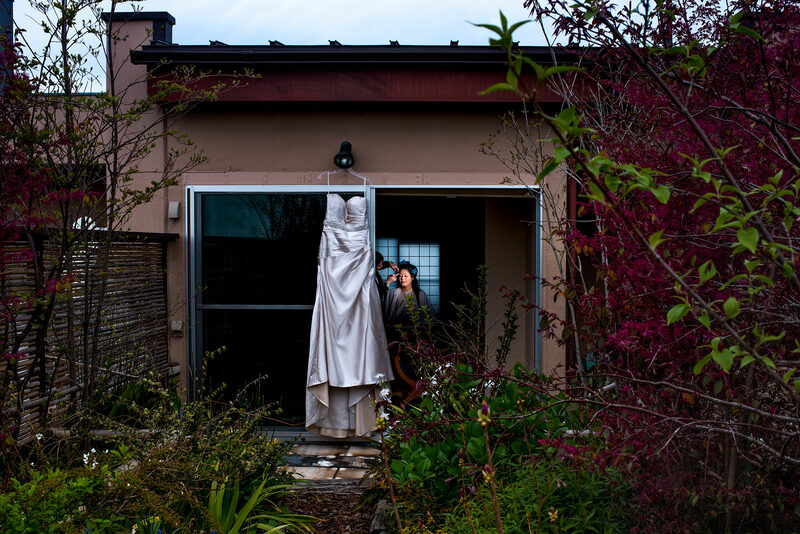 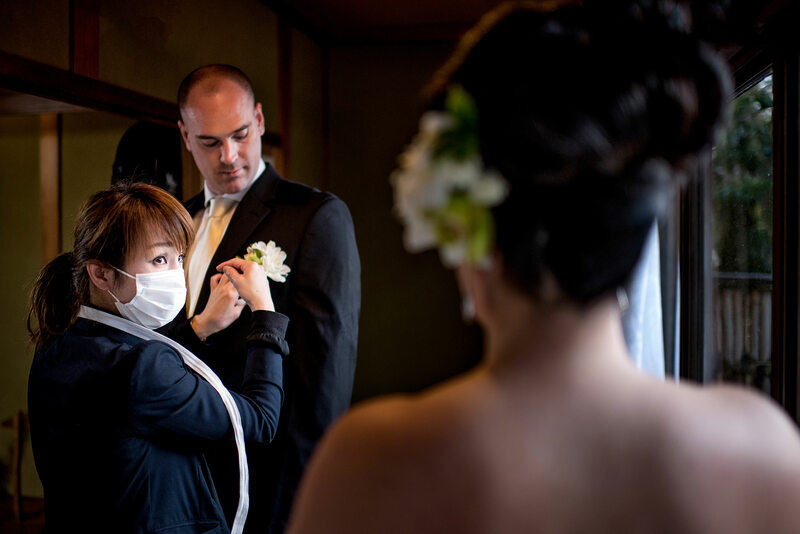 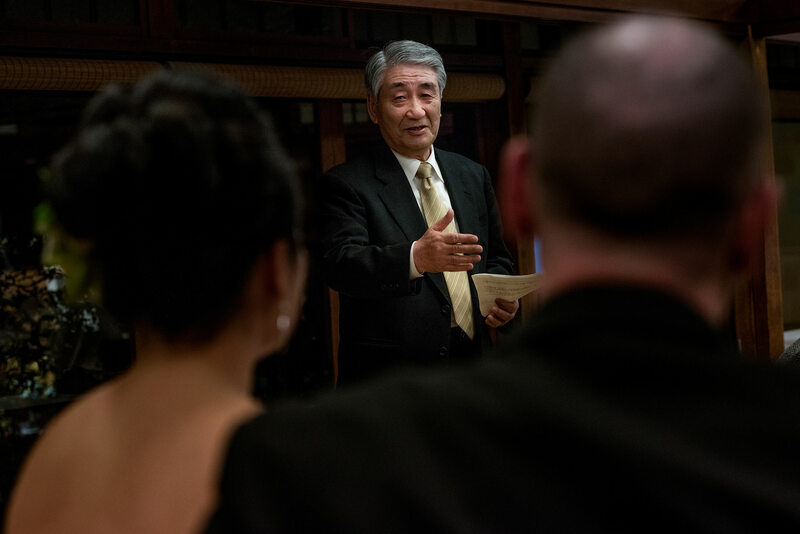 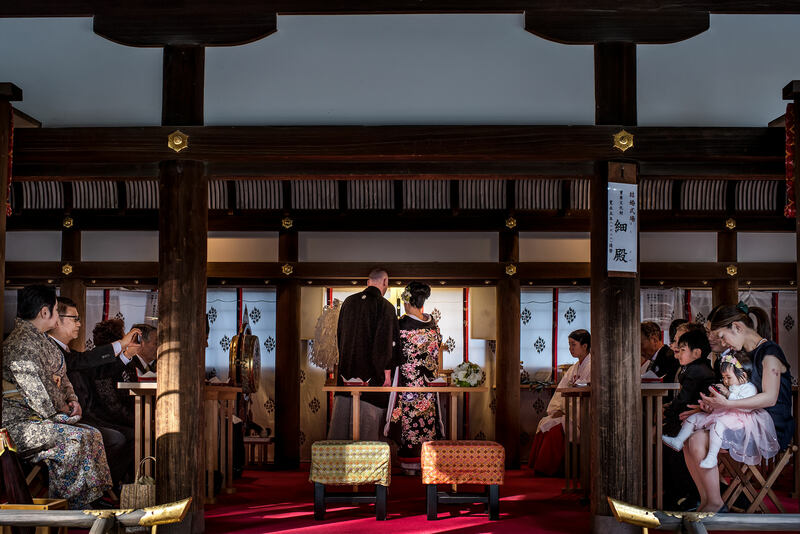 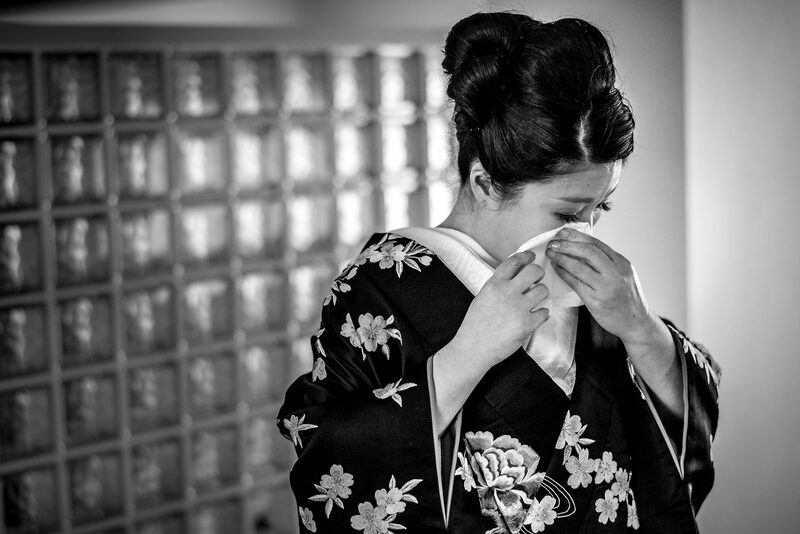 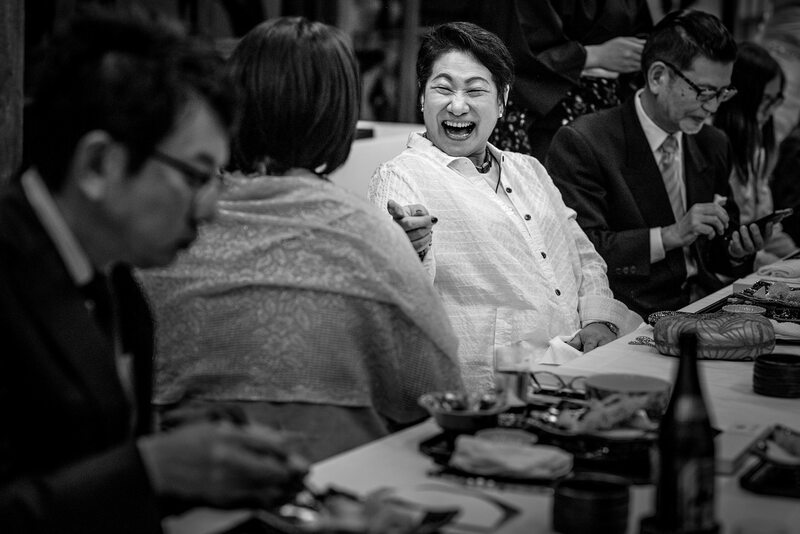 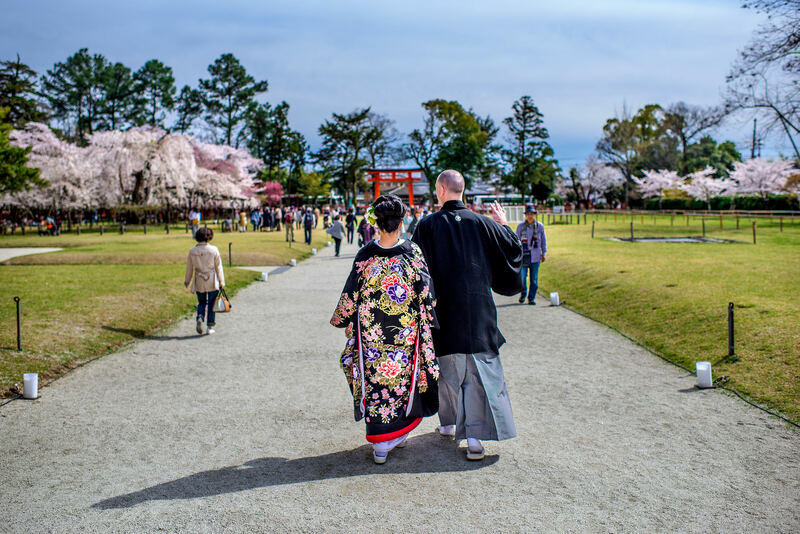 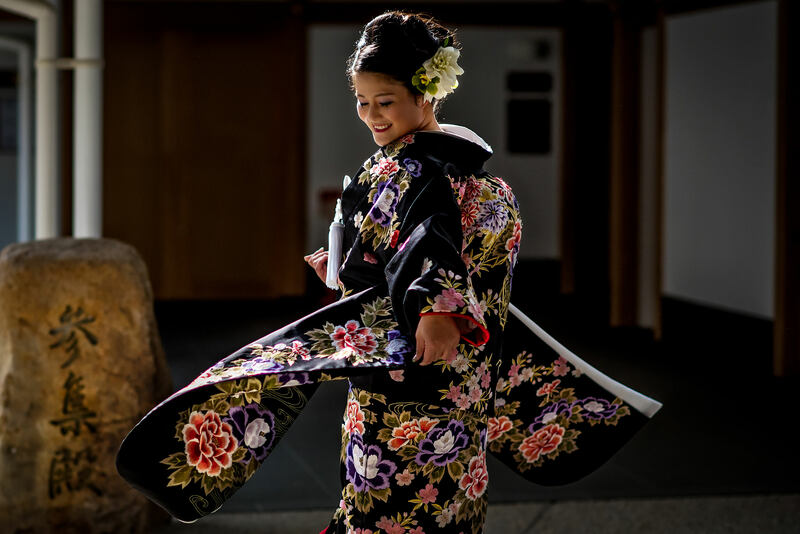 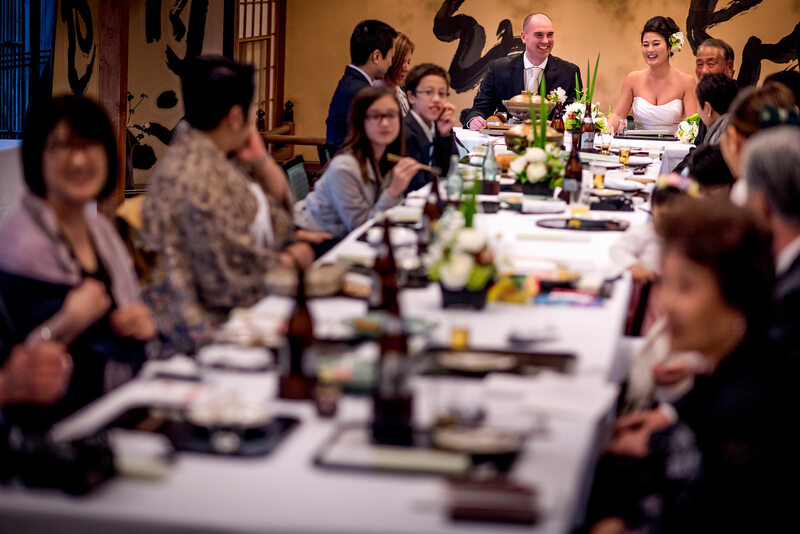 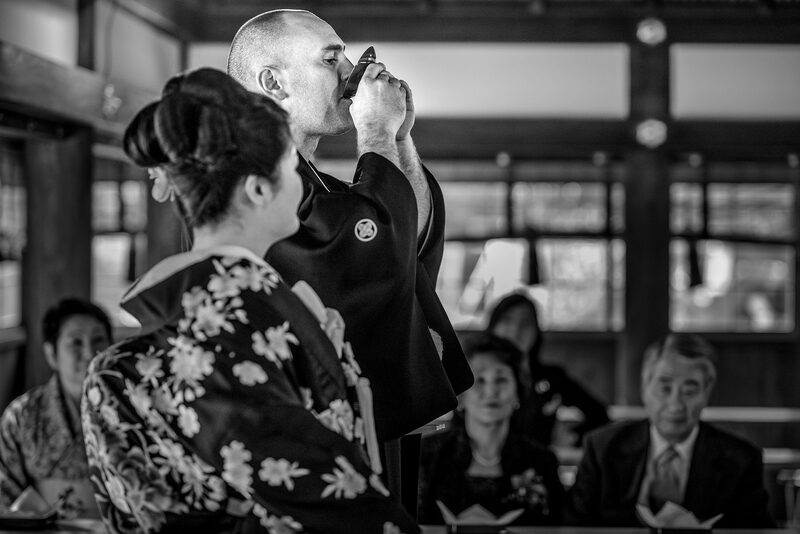 From there, we headed to the Heihachi Tea House Inn in north east Kyoto, where the newlyweds changed out of their kimonos and into their North American wedding attire. 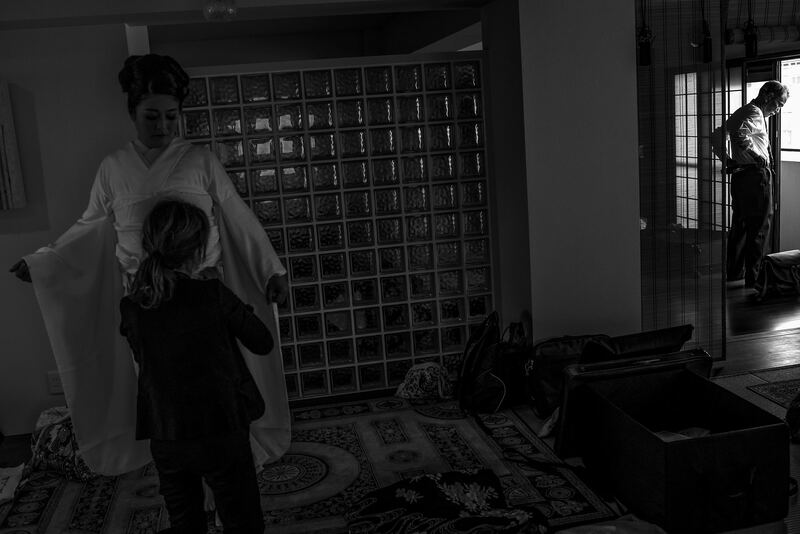 Mika now in her wedding dress and Mike now in his suit, headed back to the reception for drinks, dinner and a few impromptu speeches with close family and friends. 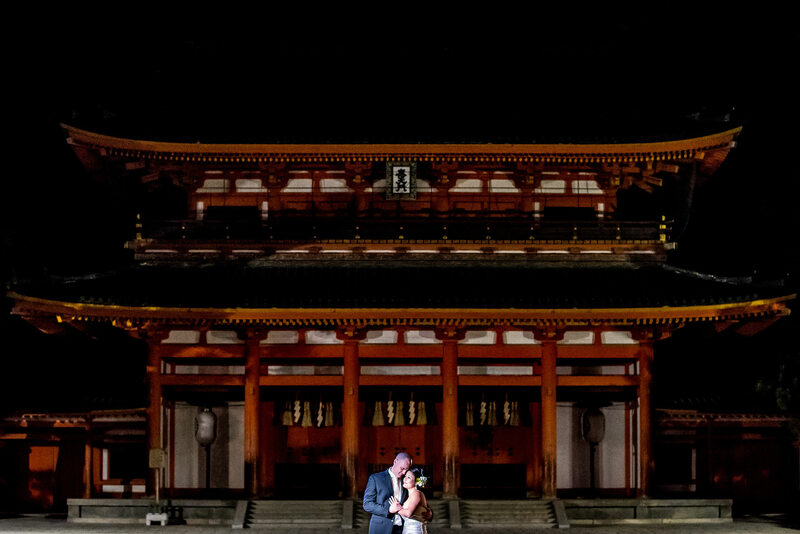 We ended the night with a portrait session at the Heian Shrine, which was not far from Mika and Mike’s apartment where the day began. 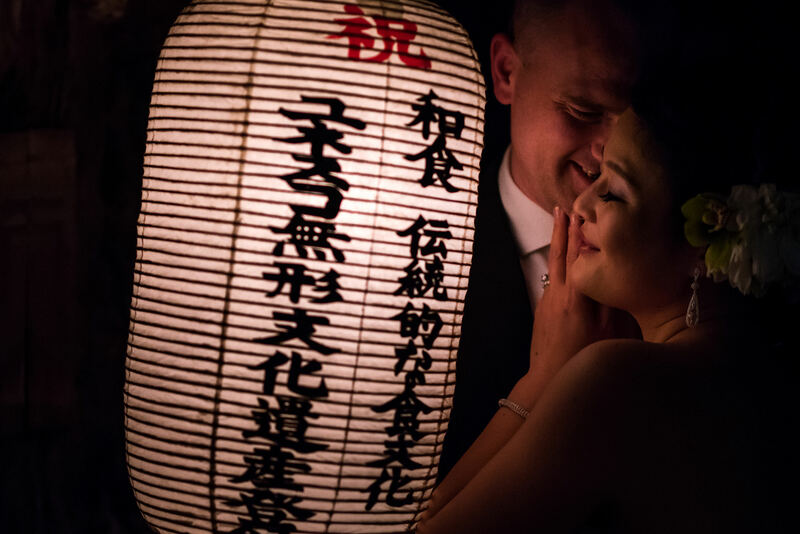 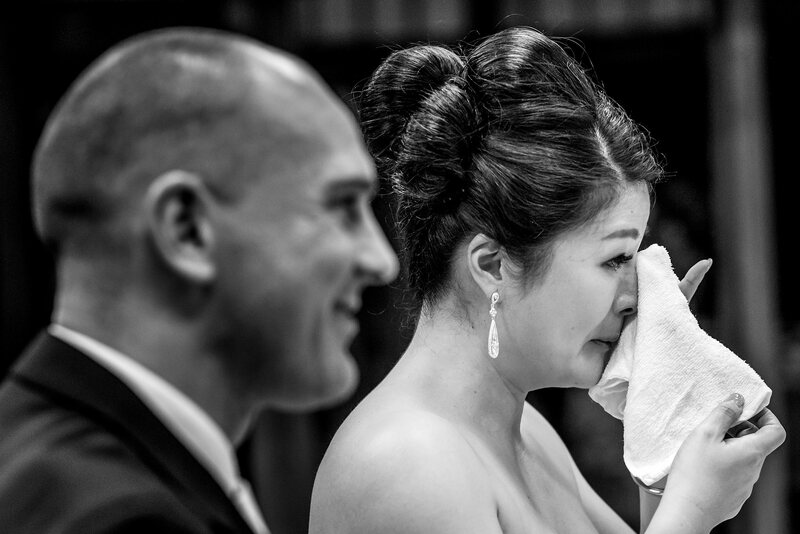 Thank you for including me as your Japan Destination Wedding Photographer! 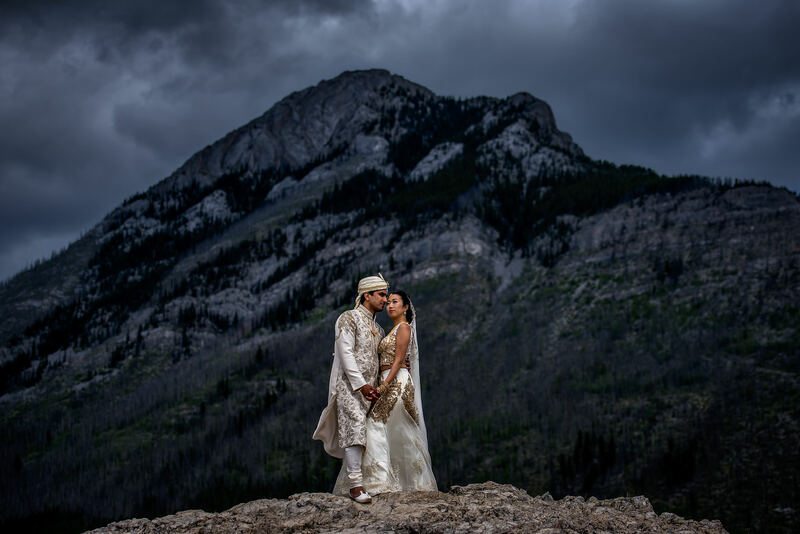 Luxurious, colorful and lively is how Banff Wedding Photographer, Sean LeBlanc Photography would describe Raj and Leslie’s incredible Banff Springs Indian wedding. 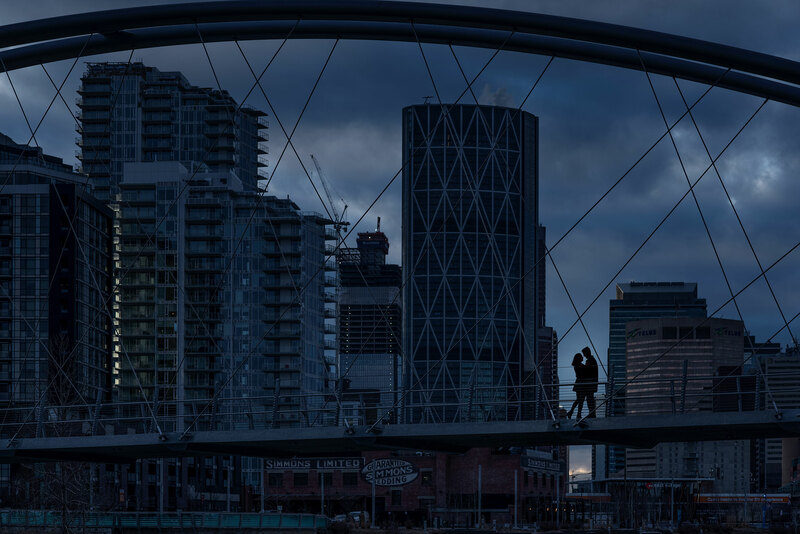 Lindsay and Neil love living downtown Calgary so as their Calgary Engagement Photographer we recommended heading just east of downtown to East Village for their connection session.